Even the best players run into bad luck. Dying to some enemies should be enough to kill a speedrunner’s attempt at a fast time. But thanks to some quick thinking and a tricky glitch, a Wind Waker HD speedrunner brought Link back from the dead and saved their run. gymnast86 is a Zelda speedrunner who runs a host of titles. 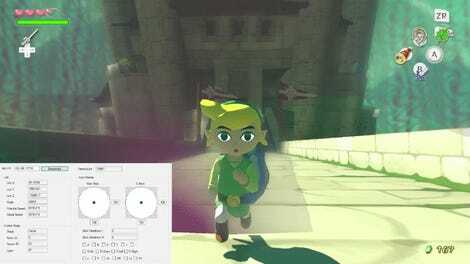 He was the first runner to push Breath of the Wild under a one hour runtime. Now, he focuses on The Wind Waker HD ever since a Holy Grail glitch shook up the community and cut massive amounts of time off the game. His main category is “All Dungeons,” which seeks to complete all the game’s puzzle filled dungeons before defeating Ganon. It avoids using a luck dependent trick used in the Any% category, which seeks to complete the game as fast as possible. About halfway through a new run, gymnast takes some damage while exploring the Tower of the Gods. Entering a room full of stout Armos and laser shooting Beamos, he takes damage and dies. But the run wasn’t over yet. 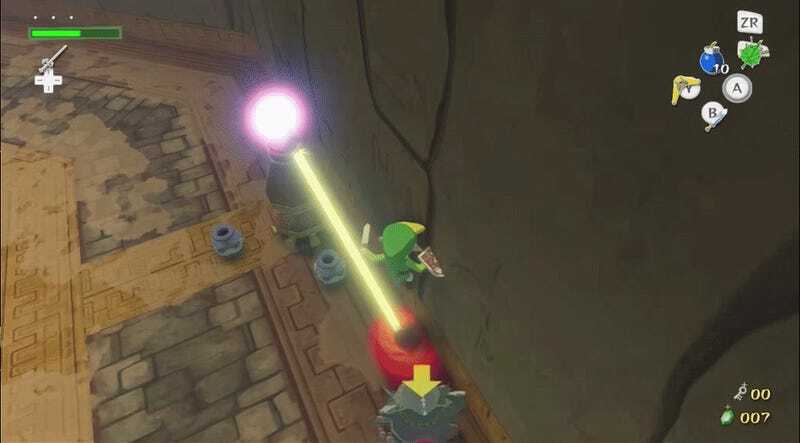 Both versions of The Wind Waker have a trick called the “Zombie Hover.” There is a brief moment when Link dies where player can jump and slash their sword. If they continue to bash the sword button, they can effectively float in the air. If Link touches a heart or fairy in this state, he will come back to life. “Some Wind Waker runners will just do a zombie hover if they die as sort of an “eh, why not?” kinda thing,” gymnast said. When gymnast dies, he launches into a zombie hover, floating in the air and getting knocked around by enemies. He then starts dropping bombs to blow him towards some pots. Once there, he manages to break one open, take the heart, and come back to life. It takes a little over half a minute and a lot of luck. The pot had a chance of failing to drop the life saving heart. “I continued going as I wanted to see if I could still somehow kill the Armos despite the fact that I was dead,” gymnast said. That desire for revenge led to one hell of a trick and completely saved the run. Let it be a lesson for us all: if someone kills us, we should always continue on as zombies to try to get our vengeance.